Trans-Siberian Orchestra will bring its unique brand of “rock theater” to Bangor on Wednesday, May 9. 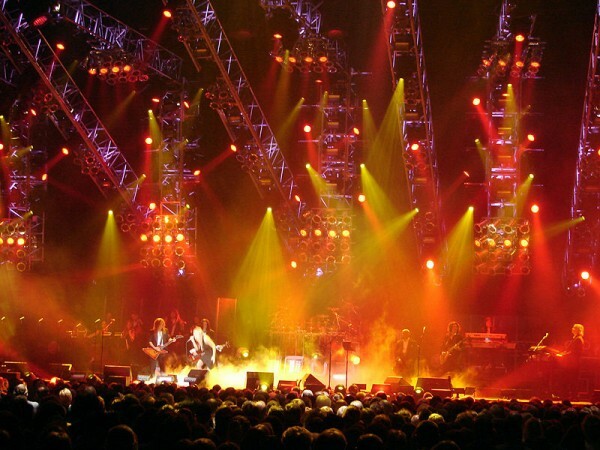 BANGOR, Maine — Known worldwide for its winter holiday tour, Trans-Siberian Orchestra will bring its unique brand of “rock theater” to Bangor as part of a 60-stop tour this spring and summer. Trans-Siberian Orchestra — which Billboard magazine calls one of the top touring artists of the past decade, with total album sales in excess of 8 million — will make its first appearance in Maine in at least eight years on Wednesday, May 9, with its “Beethoven’s Last Night” tour, featuring music and a story built around the famed composer battling for his eternal soul. “The last time they were in Maine was either 2003 or 2004 in Portland,” said Waterfront Concerts/Live Nation promoter Alex Gray. “Why take a shot on this? Well, it’s an established brand name and I do want to bring the holiday winter show to Bangor and the new arena, so this gets our foot in the door. TSO’s famed winter Christmas holiday tour, which has spawned double-platinum albums like “Christmas Eve and Other Stories” as well as hit singles like “Christmas Eve/Sarajevo 12/24,” is a $20 million-plus production that has played to more than 7 million people in more than 80 cities, selling more than $280 million worth of tickets. Bangor will be a unique stop for TSO, which was created in 1996 by core members of the heavy metal rock group Savatage including Paul O’Neill, Robert Kinkel and Jon Oliva. According to Gray, it is the only tour stop among the 60 announced so far that is an outdoor venue. Gray has seen TSO’s Christmas tour, which has expanded to involve simultaneous east and west coast tours that incorporate the orchestras and-or bands of the local municipalities they’re playing in as well as 20-plus 18-wheeler truckloads of equipment to power their musically timed pyrotechnics, lasers and lights. Trans-Siberian Orchestra adds another different musical style to the three-year-old Waterfront Concert series, which has already had rock, country-western, pop, easy-listening, alternative and other genres represented by performing groups. Tickets for the TSO show are $61.75 and $41.75, not including applicable fees depending on where tickets are purchased. Tickets for the May 9 show go on sale at 10 a.m. Friday, Jan. 27, and are available in person at Mark’s Music store in Brewer, by phone at 1-800-745-3000 or online at www.waterfrontconcerts.com as well as all Ticketmaster outlets.